Paul Hilton is a Columbia, SC based Human Resources Consultant. He assists organizations of all sizes with issues such as the development of policies, procedures, benefits, compensation, training, handbooks, employee relations, audits and legal compliance. He looks at all facets of employers’ daily dealings with employees and focuses on potential problem areas which may need correction or improvement. Paul Hilton is certified as an HR Professional by both the Society for Human Resources Management (SHRM-CP) as well as the Human Resources Certification Institute (PHR). He has 35 years of direct day-to-day hands on experience in Human Resources management in complex organizations which average over 1500 employees. 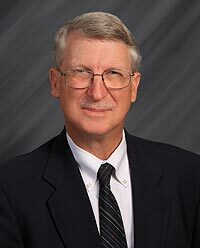 Paul is presently serving as a member of the Board of Directors of SAFE Federal Credit Union as well as a Board member of the University of South Carolina Small Business Development Center and the Kershaw County Chamber of Commerce. Paul previously served as the Chairman of the Board of the Georgetown (SC) County Chamber of Commerce as well as a Board member of the Coastal Carolina Better Business Bureau. Paul is an active member of the Sumter, Kershaw and Clarendon County Chambers of Commerce as well as several other local business related networking groups. The most important asset of any organization is its employees. The fair, consistent application of a company’s policies and procedures along with reasonable compensation practices and an overall competitive benefits structure will lead to a high level of employee satisfaction, increased profits and a growth-oriented future for the organization. PHHR, through our Human Resources Audit and other available services, will give your company appropriate and actionable alternatives and solutions to undesirable situations that keep you awake at night! Learn more about our Services.